Database of three hundred pairs of scores and correct data. You can download XMLs by right-clicking following links and selecting “Save As…”. [PDF(IPSJ):sigmus102_02.pdf] Kouhei Kanamori, Masatoshi Hamanaka: “Music Theory based on Clustering and Statistical Learning σGTTM II: Detection of Local Grouping Boundary”, Information Processing Society of Japan Special Interest Group on Music and Computer, 2014-MUS-102, No.2, 7 pages, Feb 2014. [PDF (Online Journal) ] [exGTTM] Satoshi Tojo, Keiji Hirata, Masatoshi Hamanaka: “Computational Reconstruction of Cognitive Music Theory”, New Generation Computing, 31, pp. 89-113, 2013. [PDF] [exGTTM] Masatoshi Hamanaka, Satoshi Tojo: “Interactive Gttm Analyzer”, Proceedings of the 10th International Conference on Music Information Retrievalconference (ISMIR2009), pp.291-296, October 2009. 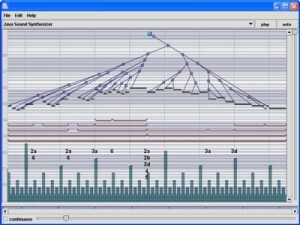 [PDF] [σGTTM] Yuji Miura, Masatoshi Hamanaka, Keiji Hirata, Satoshi Tojo: “Use of Decision Tree to Detect GTTM Group Boundaries”, Proceedings of the 2009 International Computer Music Conference (ICMC2009), pp.125-128, August 2009. [PDF] [exGTTM] Masatoshi Hamanaka, Keiji Hirata, Satoshi Tojo: “Implementing A Generating Theory of Tonal Music”, Jornal of New Music Reserch (JNMR), Vol.35, No.4, pp.249-277, 2007. (Editor’s recommendation paper). 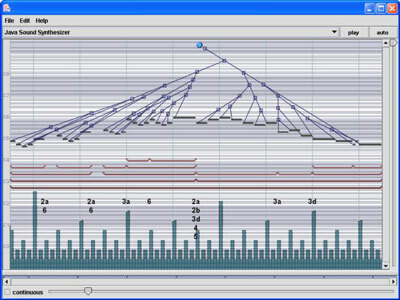 [PDF] Keiji Hirata, Satoshi Tojo, Masatoshi Hamanaka: Techniques for Implementing the Generative Theory of Tonal Music, ISMIR 2007 (7th International Conference on Music Information Retrieval) Tutorial, September, 2007.